Now you can thread the needle, from the front to the back. 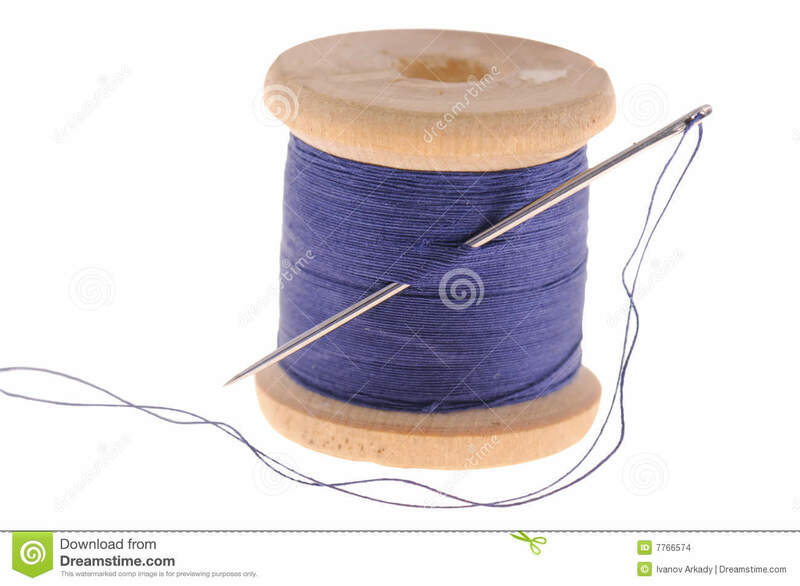 Check the thread isn't twisted around the needle. If your needle is down in the ditch, turn the hand wheel (the knob on the right of the machine) to move it up into a position so you can thread it easily. Double thread your needle, if you want to reduce the number of times you have to thread the holes to secure the button. 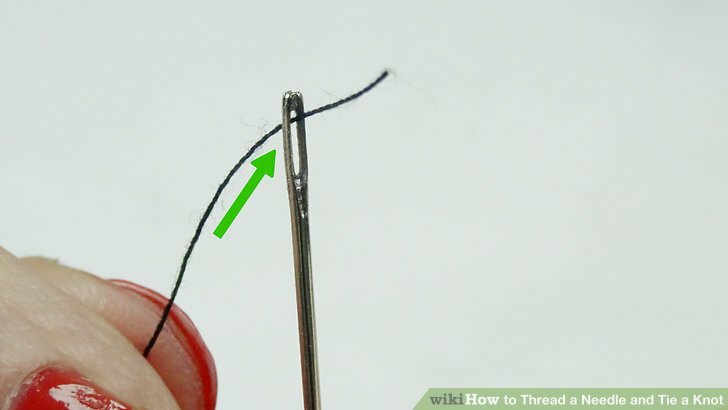 Another way to knot the thread at the end is to take a tiny stitch on the wrong side, pull it almost down to the fabric, and then put the threaded needle through the loop before pulling it tight. Bring the thread that you pierced down the needle and over the eye until it's wrapped around thread. Pull this nice and taut - you'll want to play with pulling both ends of the thread to make it work properly.